Pre-order now... ships April 2019. Cool that it's compatible with the original Sega CD units... no word on 32x compatibility. I have about a dozen Genesis games, and my Genesis doesn't work with my 4K TV... so this is kind of tempting. As a reminder... this is the company that released the Super Nt (SNES FPGA) last year, and the Nt Mini (NES FPGA) before that. Pretty cool. I’ve thought about getting the Analogue NT but wish it wasn’t as expensive as it is. I’d also consider this one though as I have as many or more Genesis games (not a ton but probably around 20 or so). I'm not really a potential buyer for these hardware clones but the design on this one is rather striking. The circular Gen Model 1 motif really works. The biggest takeaway to me though is the new 8bitdo controller! Sega D-Pad, about time!! Let's hope they get it right - I will definitely buy those if not the actual console. Nitpick: an FPGA isn't really an "emulator." It's replicating the original chip structures at a logic-gate circuit level. This is why these devices have near perfect compatibility, because they're replicating the original hardware instead of emulating it. Cool that it's compatible with the original Sega CD units... no word on 32x compatibility. This article notes that, due to the 32X's need for an analog pass through with the Genesis, the 32X isn't compatible. Retro Sega fans may notice the 32X as the only pre-Saturn Sega system not supported natively by the Mega Sg. Analogue's Christopher Taber points out that the 32X's analog multi-link cables make it difficult to get a full HD-compatible signal from the original hardware. That said, Taber said Analogue is "exploring solutions for using the original hardware in conjunction with Mega Sg for post-launch." 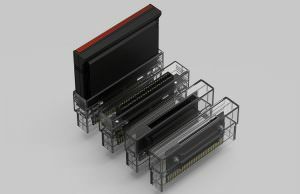 That includes looking into a direct FPGA implementation of the 32X hardware, a process Taber says should be possible with additional time after the Mega SG's release. Not like there’s a lot to lose sleep over missing the 32X titles, but it’s too bad they couldn’t figure out a way to make it work got those who have those games. I agree... it's more of a "clone" than an emulator. There's big debates about this in the usual places online... but yeah... hardware cloning ("emulating") appears to produce better compatibility than a traditional software emulator. That's what separates this (and the Super Nt, and Retro AVS) from those other faux-clone devices (the ones that have 4 or 5 slots for cartridges that are really just software emulators that can dump roms from those carts, or even the official NES mini and SNES mini devices which are just software emulators running roms as well). So you're right... it's not correct to call this an emulator... it's just a term that we're accustomed to seeing. That's a shame. For the sake of the 32x library of games, I hope they figure something out with that. There’s not even that many 32X games (I think like 40 titles) and they’re mostly not the greatest anyways. I think the crown jewel so to speak is a Spider-Man game which is supposed to be pretty good. And as far as these Analogue systems, they’re essentially clones. Basically just new hardware for older games. They aren’t emulators though because they’re reading off the chips in the cartridges whereas emulators basically unlock the coding for games when you put a cartridge in. Last edited by Mike86; 10-18-18 at 01:49 PM. What's interesting is their idea of making their own 32X clone. Once they're replicated the Hitachi SH-2 chip the 32X used two of, they're halfway to making a Saturn clone too, since the Saturn also used two SH-2 chips, at a slightly faster clock. The more I think about it I might actually grab this. I kinda regret passing on the NT at the time (although in fairness that was priced a lot higher) and its shot way up in price. I don’t want to regret not getting this too. Since I have a reasonable sized Genesis collection it might be fun to have. I wonder if Analogue would ever consider a second version of the NT maybe at a lower price point. The original Analogue Nt was $500. I suspect the RetroUSB AVS may be why Analogue hasn't made more Nt Minis, since why compete with another NES clone when they can focus on Super NES and Genesis/Mega Drive clones instead? I did actually sort of forget about the AVS. Could be a good alternative especially given it’s a lot less than the NT. 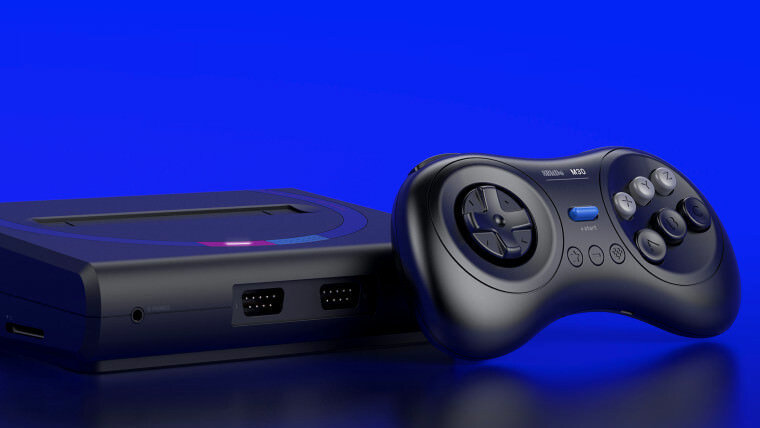 The Mega SG is set to start shipping on the 25th. I’m still thinking about making it my first Analogue purchase. Might wait for a review to hit, but based on their previous products I think it’ll be a quality product. I recently ordered one of the new Retro-Bit licensed Genesis controllers that would go well with it (though I’d probably get at least one of the 8BitDo wireless options too).